The Choeng is made from copper. It is a round shape but without a convex dome in the middle. In the past, it was imported and sold in the villages. The elders wanted the Choeng to play for music so they bought it. At that time one Choeng was valued at one cow. In total 6 Choengs are equal to 6 cows or 2 big female buffalos. A set of Choengs is 6 instruments and they need to be played by a band of 6 people. 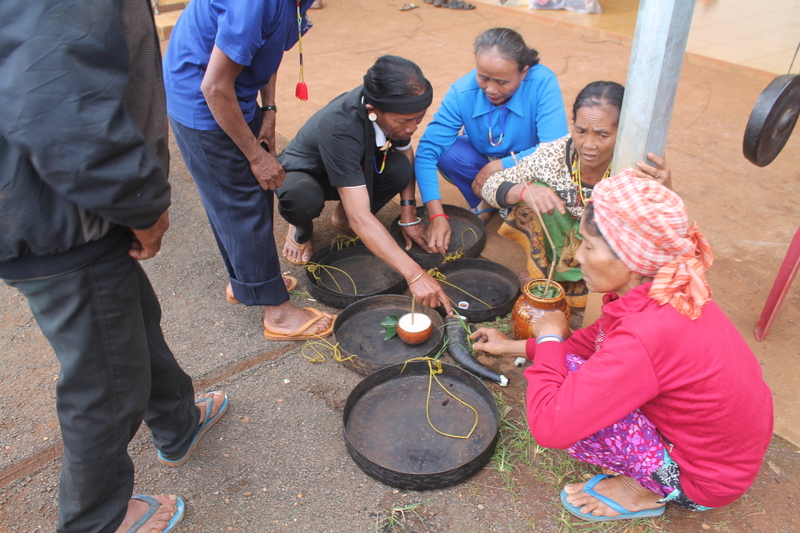 The Choeng can be played at anytime and anywhere but it is necessary to perform a ceremony for them before they are used. In the ceremony they use the blood of one chicken and a jar of jar wine to sacrifice for the spirits of the Choengs. The meaning of the ceremony is to inform and ask for permission to use these Choengs from the spirits of the Choengs and the spirits of their ancestors who own the Choengs. The Choeng is used in the rice ceremony. People can play them during their meal after they celebrate the rice ceremony. 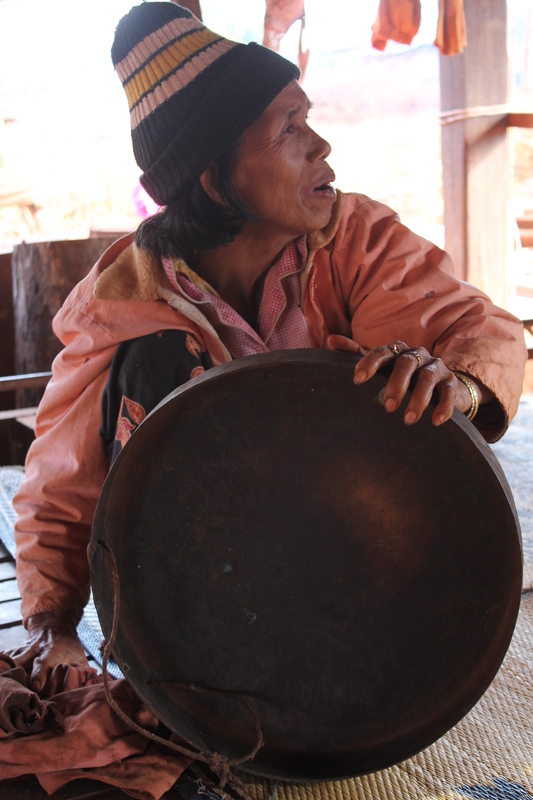 The Choeng also can be played in ceremonies for house warmings and for a ceremony to ask for good luck. When people are sick, they also perform a ceremony for Choengs because they think that it can be caused by the spirit of Choengs. It is also played when people do farming, clear grass, buy a new cow or buffalo, for wedding ceremonies and for happy new year. Cheongs can be played for six melodies. They are: planting rice, pulling off rice, winnowing the rice, frog cries, jumping and celebration ceremony. Click here to listen to the music of Choeng.